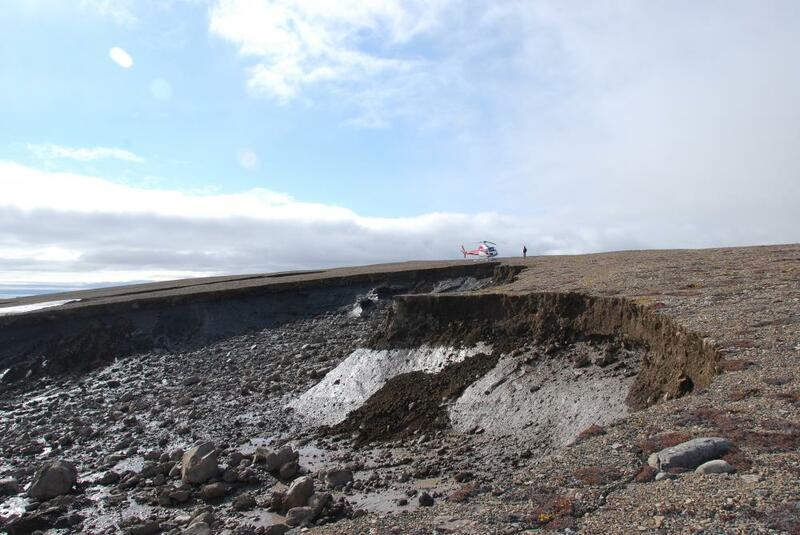 Thaw slumps occur in areas of ice-rich permafrost. Slumps develop on hillslopes and usually occur along the shorelines of lakes, rivers and coastlines. Thaw slumps are common permafrost mass-wasting features, and consist of a headwall made predominantly of ice and a muddy slump floor. This project examines the characteristics, growth and impacts of these features. This project focusses on slumps in northwestern NWT. Some of the largest "mega slumps" ever observed occur on the Peel Plateau which is just to the east of the Richardson Mountains. 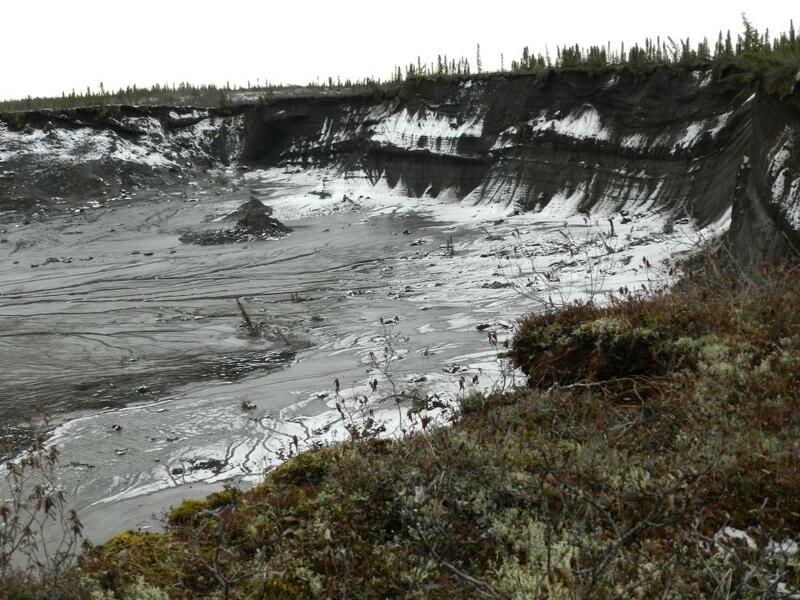 The Dempster Highway and Fort McPherson are close to these mega slumps. Streams impacted by these slumps drain into the Peel River and Mackenzie Delta. Thaw slumps can reach up to 40 ha in area with headwalls up to 25 m high, and can remain active for decades. Individual disturbances can move hundreds of thousands of cubic metres of sediments downslope into stream valleys, lakes or coastal zones. 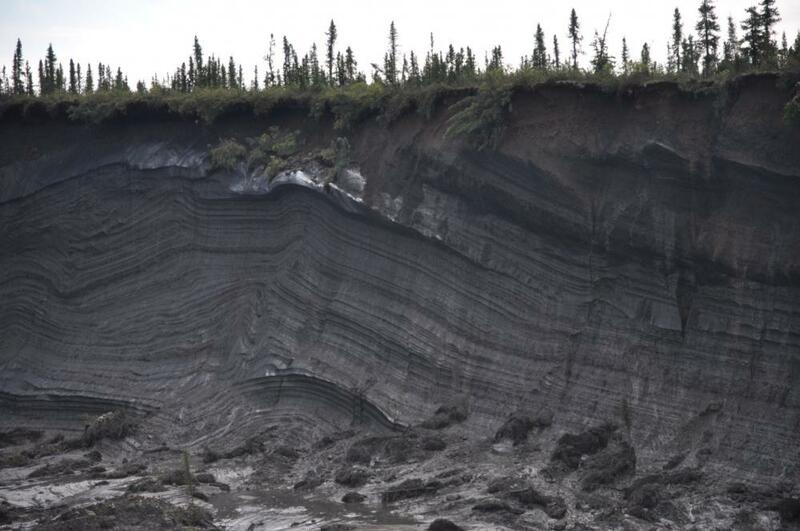 Over the past few decades, the size and activity of slumps in the northwestern NWT has increased. Infrastructure and water quality can be severely impacted by thaw slumps. 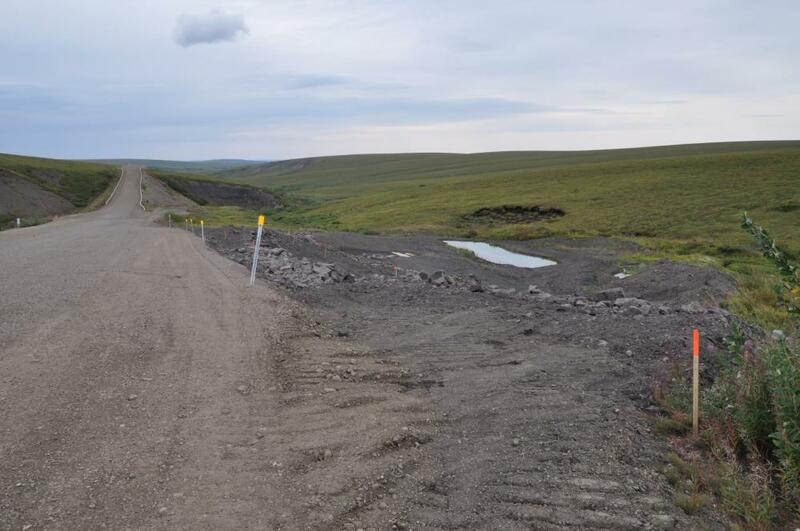 Land users and local community members in the Gwich’in and Inuvialuit regions have recognized that slumping is increasing. These disturbances can also affect traditional routes and potential harvesting areas. 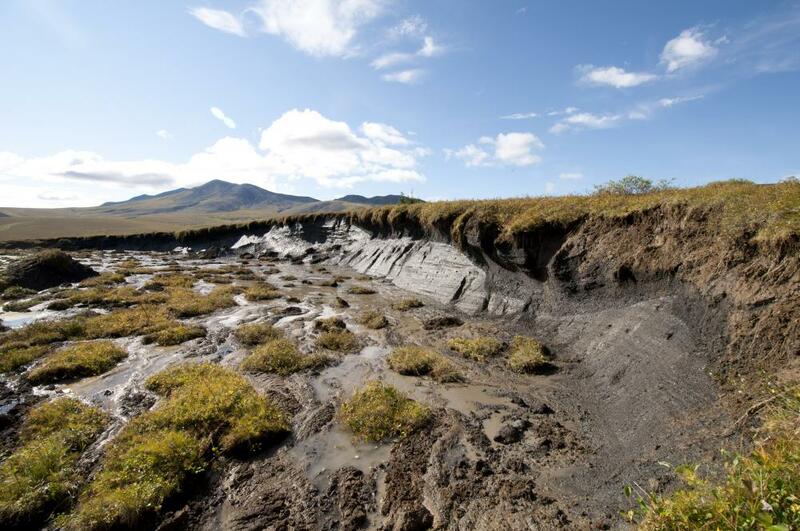 The characteristics of the thaw slumps are examined along with the associated permafrost, climate, and terrain conditions to determine how slumps are triggered and what leads to their growth and stabilization. Field surveys, air photographs and satellite imagery have been used to monitor and map these features across the western Arctic. Research on the Peel Plateau slumps began in 2010 and is on going. Results have been published as peer-reviewed periodicals and NTGS publications. Several presentations have been provided to scientific and public audiences. Examination of slumps on Banks Island is anticipated. Monitoring of several major slumps on the Peel Plateau is ongoing.